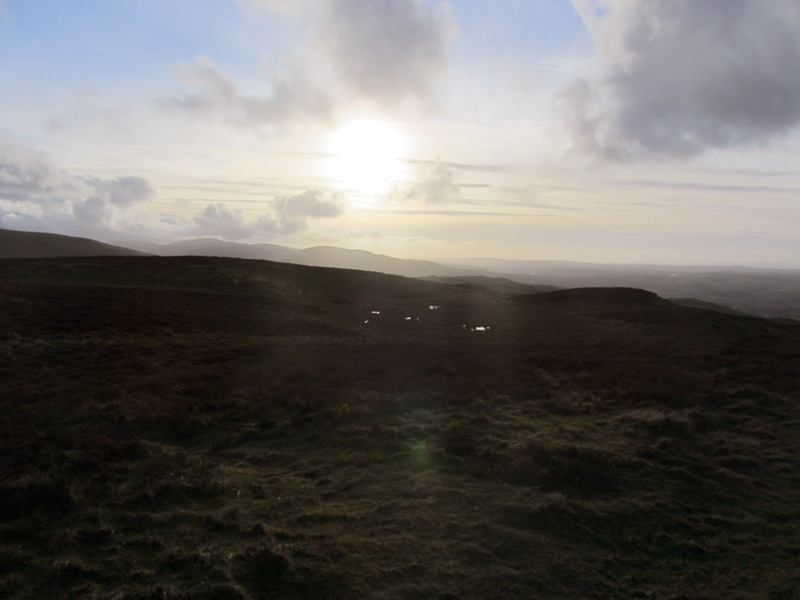 " February Ling Fell "
Date & start time: Friday 7th February 2014, 3.30 pm start. 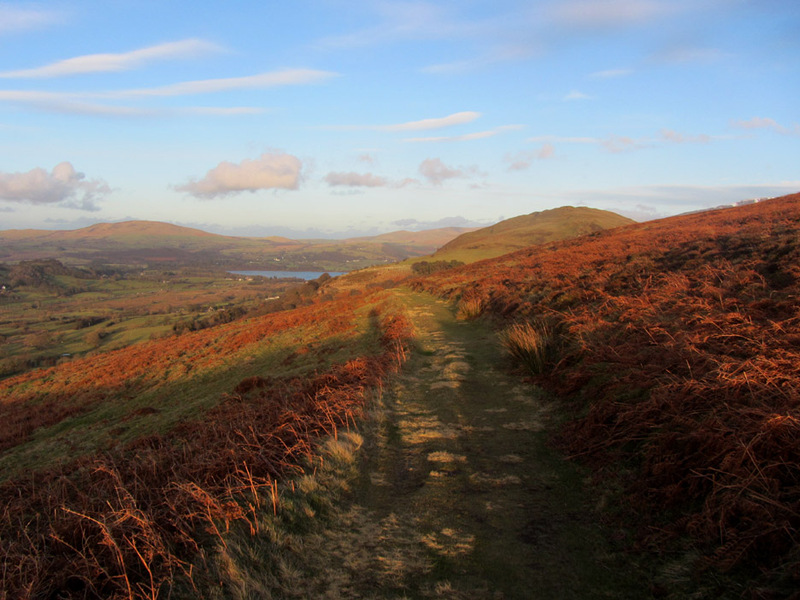 Places visited : Burthwaite and up to the summit of Ling Fell, back by the Corpse Road. Walk details : 1.9 mls, 675 ft of ascent, an hour or so. Walked with : Ann and our dog, Harry. Weather : Sunshine and blue skies. Making miles while the sun shines, Ann and Harry take a walk up Ling Fell on a sunny Friday afternoon. 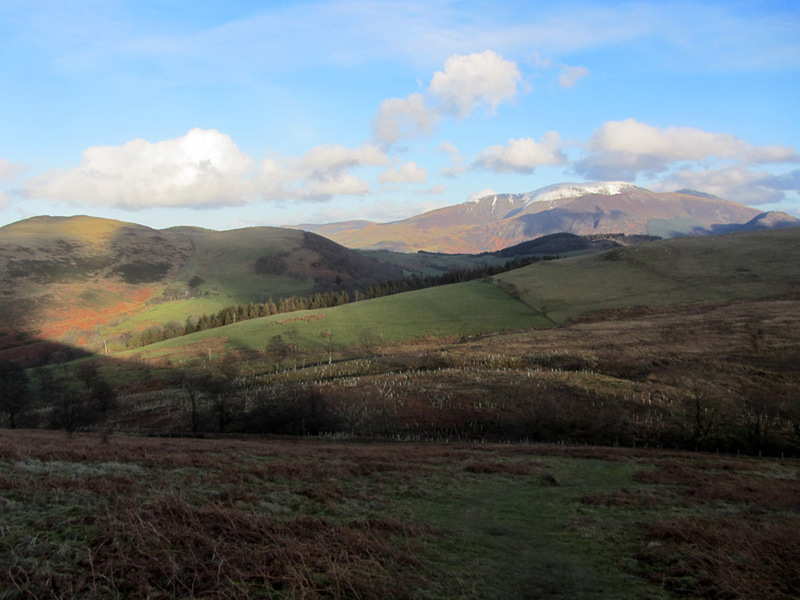 There's snow on the high fells . . . and strong sunshine warms the way to the top. 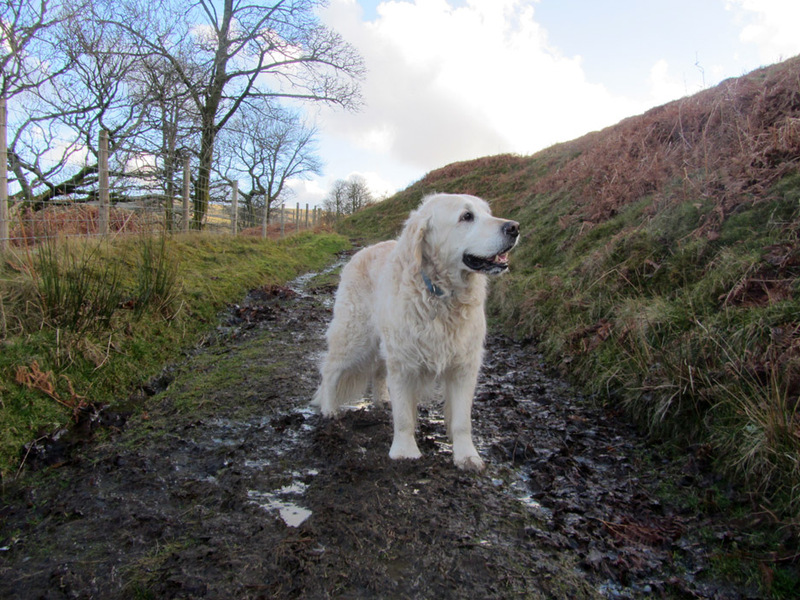 The paths are muddy at the base of the fell, not that it bothers Harry ! 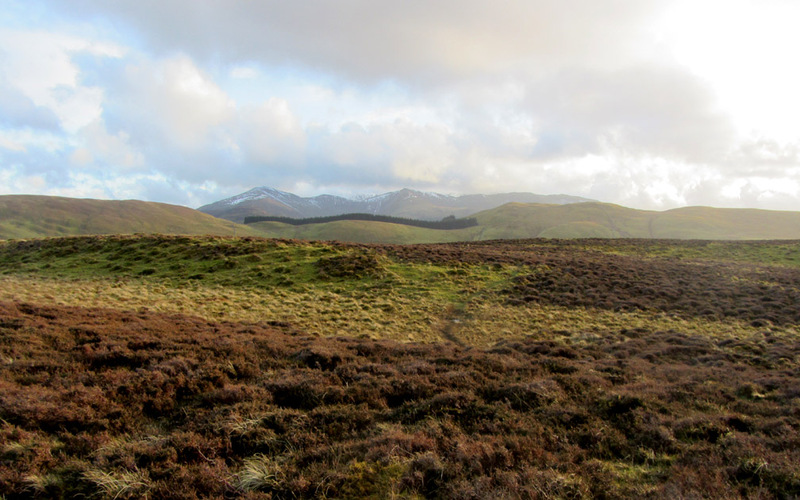 A sprinkling of snow on Skiddaw in the distance as we climb up the side of Ling Fell. 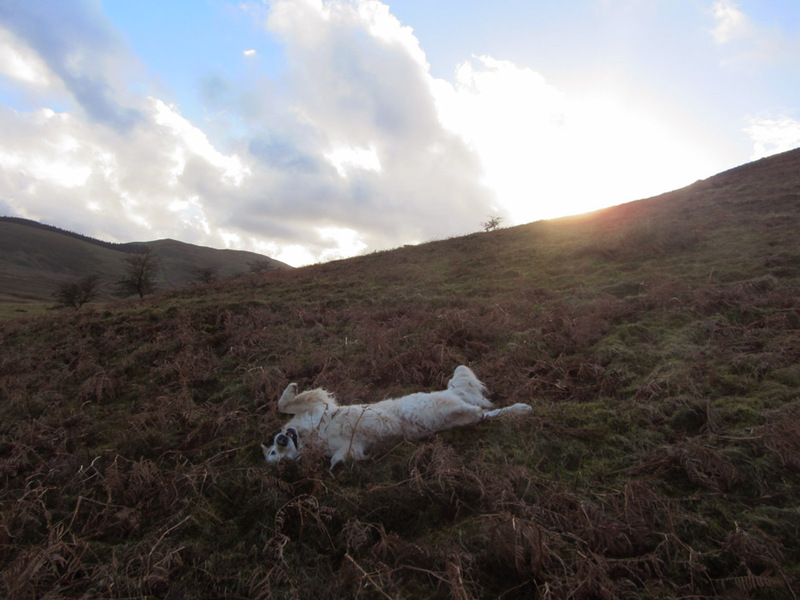 "It's great to be out and rolling in the dead bracken" . . .
. . . " and wondering what that glow is, haven't seen much of that lately." 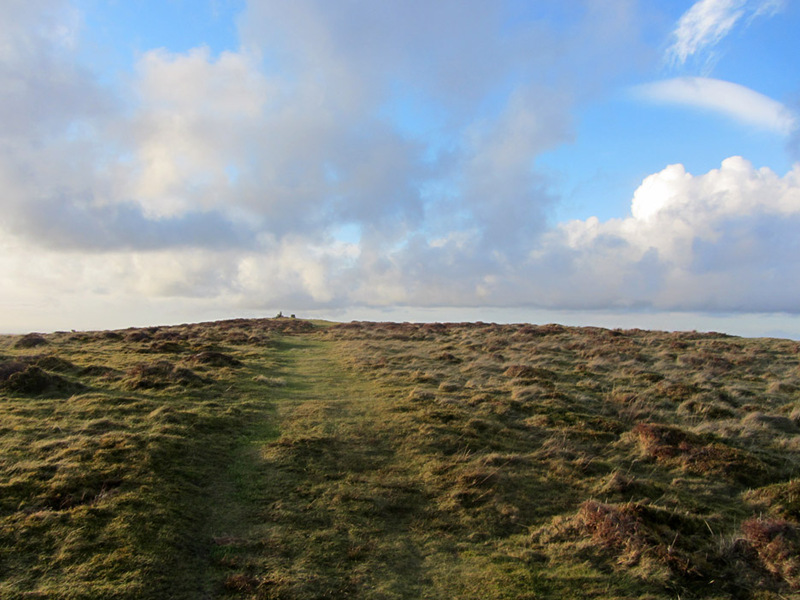 We reach the summit ridge with the summit cairn and trig point coming into view. 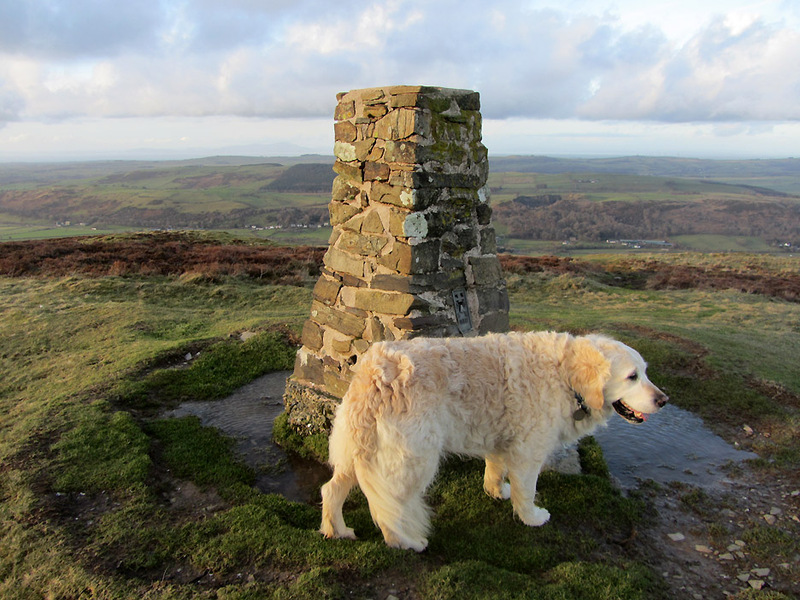 A rather wet base to the trig today. 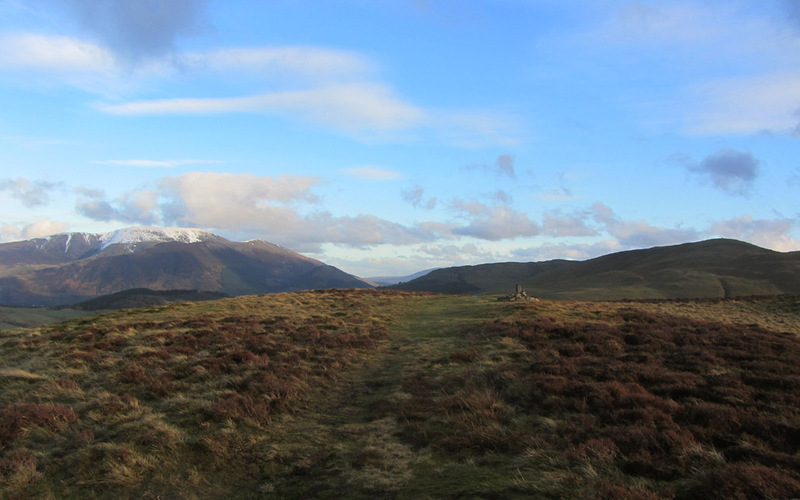 Looking back towards Skiddaw and Lords Seat from the trig point. The wavy line of trees at Widow's Hause in front of the Grisedale and Hopegill Head range of fells. 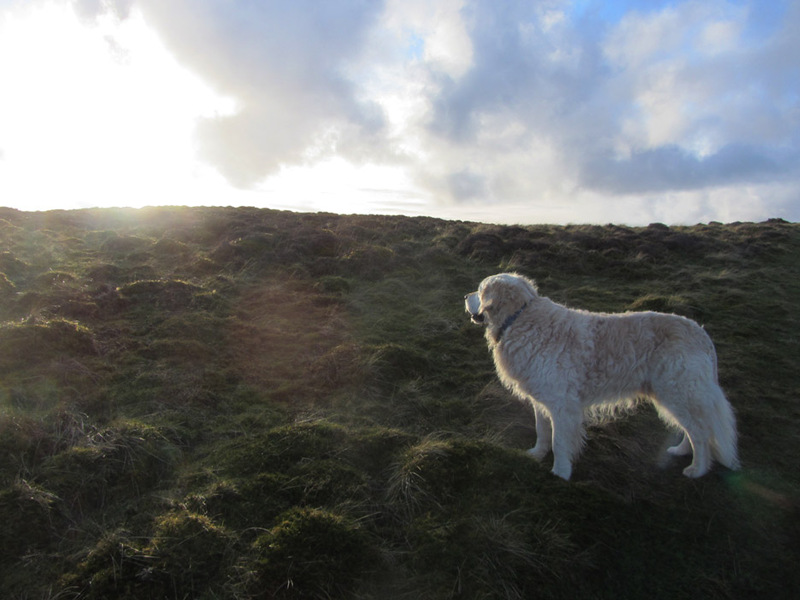 Looking into the sun over the Solway Plain.
" 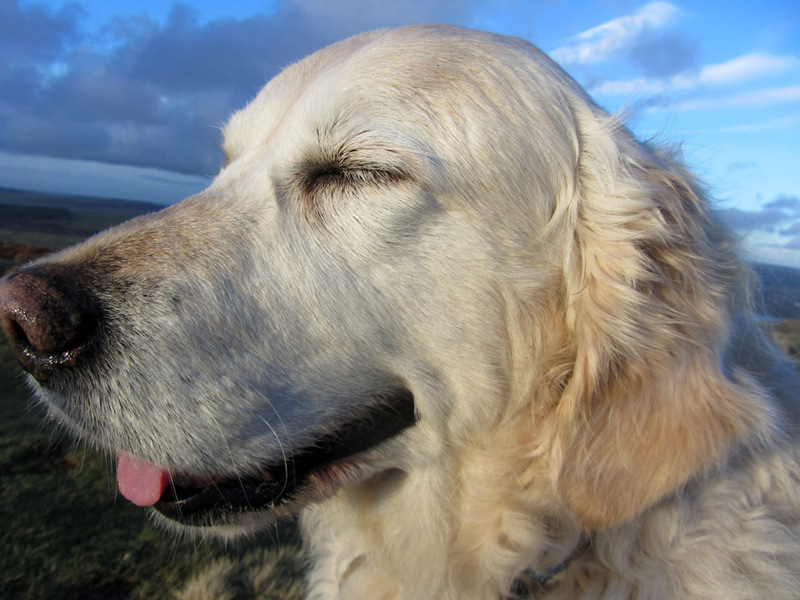 The sun is too bright, must close my eyes." " If I look at my Mum I can keep them open." as the sunlight glows on the bracken on our way down the coffin route back to the car. Technical note: Pictures taken with either Ann's Canon Sureshot SX220 digital camera. This site best viewed with . 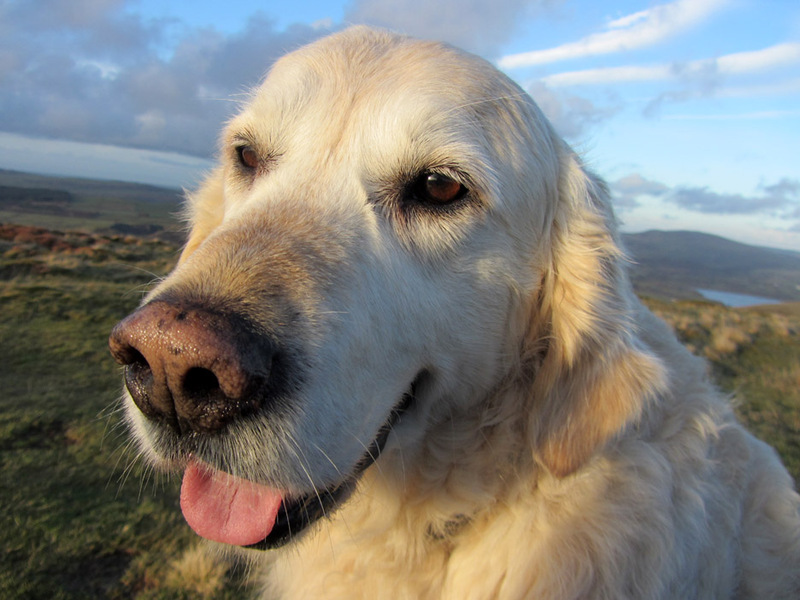 . . a close companion for your walk.